(2) Interquip Electronics (Shenzhen) Co., Ltd.
(3) Interquip Electronics (Shenzhen) Co., Ltd. Thank you for your kind attention and we wish you a happy & prosperous New Year! Interquip Electronics (ShenZhen) Co Ltd will participate in CEF Shanghai 2014 held between October 28th ~ 30th in Shanghai New International Expo Centre. You are cordially invited to visit our booth at B162 in Hall N2. Interquip Electronics Co Ltd will participate in TAITRONICS 2014 held between October 6th ~ 9th in TWTC Nangang Exhibition Hall. You are cordially invited to visit our booth at K0323. invited to visit our booth at 4H19. Interquip Electronics Company Limited has been selected as one of the top 100 electronic components manufacturing companies in China. The selection was made by China Electronic Components Agency (CECA), based on the company’s technical excellence, labor relations and financial performance. The certificate was given in an awards ceremony on June 26 2014. The award was presented to Ms Vivian Leung WaiPing, the Vice President and General Manager of Interquip by the Chairman of the agency, Mr. WEN Xue Li. at B162 in Hall 3.
information of Nakoma, please visit the 'Contact Us' section of our website. 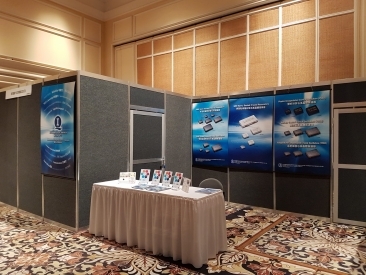 Interquip Electronics will participate in EDS held between May 6th ~ 8th in Las Vegas. Interquip Electronics Company Limited has recently completed an audit by the Chinese Government. The audit focused on Interquip’s Quality Systems, R&D Activities and Production Facilities. The purpose of the audit was to determine if Interquip has continued to maintain the high standard of excellence that it had demonstrated at last audit about 4 years earlier. For the last 4 years, Interquip has been designated s a “HIGH TECHNOLOGY COMPANY” by the Chinese Government and has enjoyed the benefits related to that designation.